Unless you’re purposely trying to create a “dark aesthetic” within your home, preserving and creating brightness in your living spaces is of paramount importance. This is perhaps no more the case than in your kitchen. The reason for this is, of course, simple – you need adequate light to do all of that cooking! When it comes, then, to keeping your kitchen as bright as possible, you’ll obviously be thinking a lot about lighting. However, there’s something below your feet that shouldn’t escape your notice, and that’s your floors! 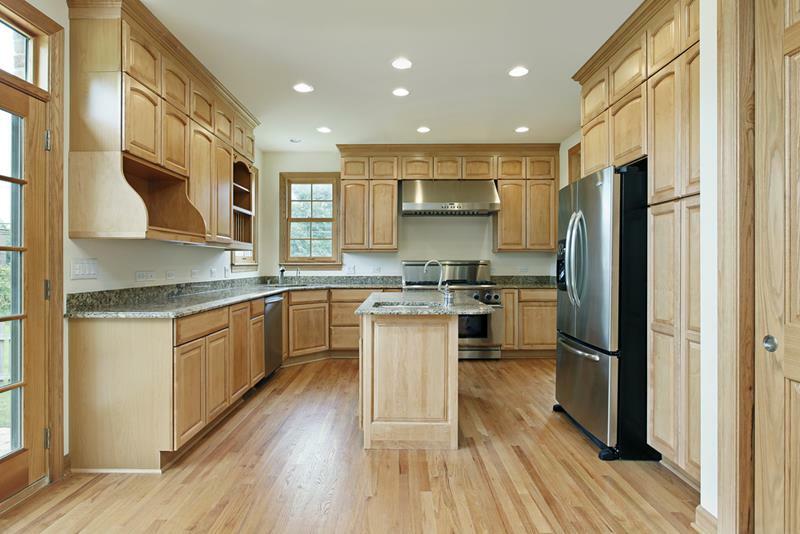 If you want to have a kitchen that has the brightest look possible, something that soaks in all of the natural light your kitchen receives, then you’ll want to strongly consider using light-colored hardwood floors. On this list, we’ve collected 53 stunning examples of kitchen designs that use light hardwood floors. Some of these kitchens are a part of open-concept living spaces, where those hardwoods spill out into the other living spaces, and others closed kitchens. In either case, we think you’ll see just how much work light hardwood floors can do in your kitchen design! So, come take a look, and see if you can’t find some inspiration for the kitchen in your home. 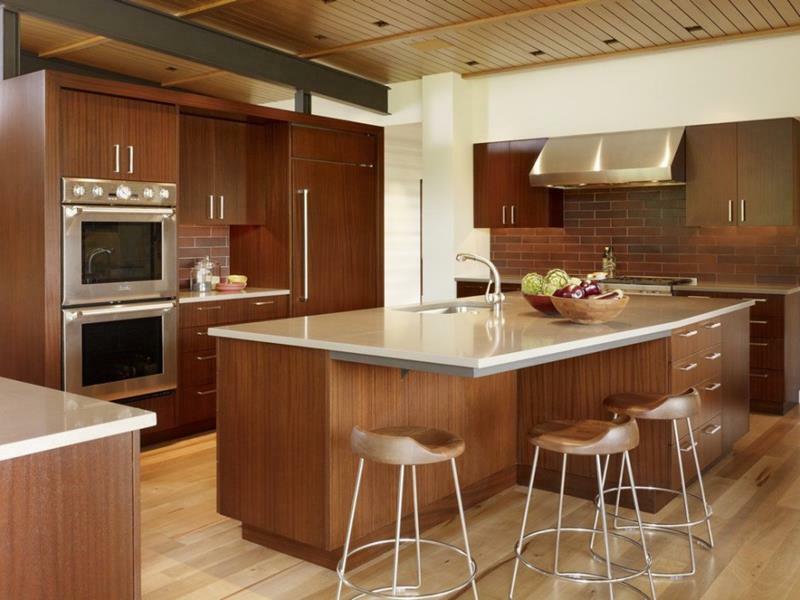 With light wood floors on light wood cabinets, this kitchen achieves contrast thanks to its dark countertops. Here you can see how inlays can be used with your light wood floors to add visual interest and appeal. 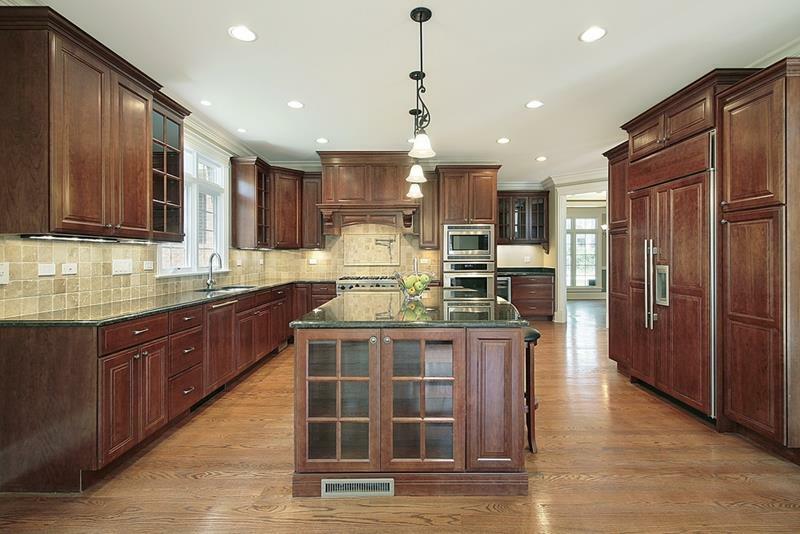 Of course, one of the smartest choices you can make with light hardwood kitchen floors is to have dark hardwood cabinets. 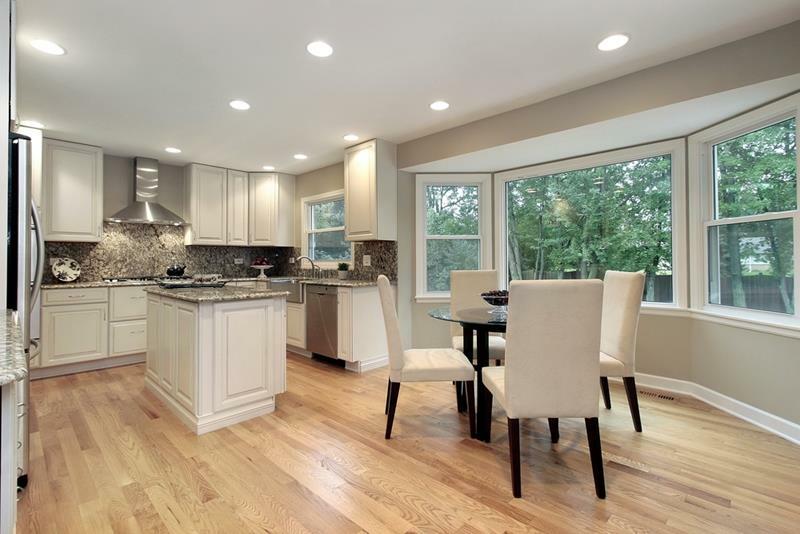 In a contemporary kitchen design, you should strongly consider using light hardwood floors with wide boards. 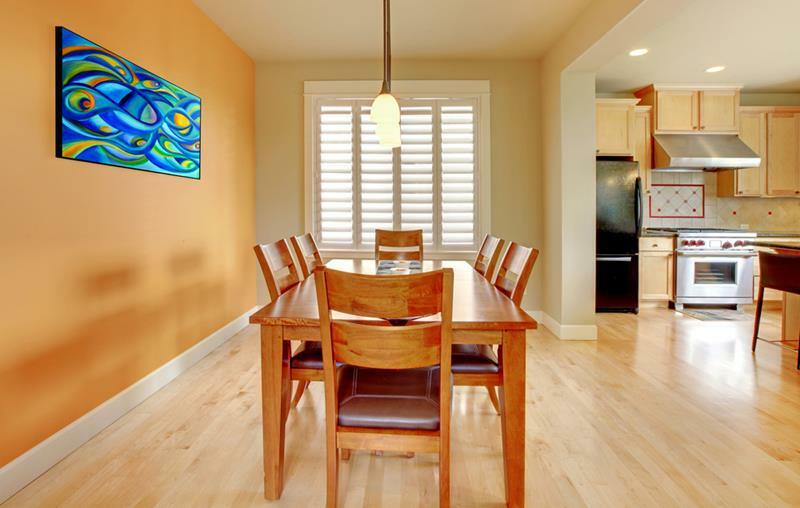 Check out how well the light hardwood floors of this open-concept kitchen work with this orange accent wall.